Three has revived its stunning unlimited everything SIM-only bundle, which includes unlimited calls, unlimited text messages, and most importantly of all, unlimited 4G mobile data. All for £24 a month. So, regardless of whether you like to natter away the hours on the phone, fire-off SMS messages like there's no tomorrow, or stream boxsets and blockbusters on your commute every day – this 12-month SIM-only contract has got you covered. Better yet, Three never throttles your download or upload speeds over 4G after you've hit a certain data limit on its unlimited plans, unlike some of its rivals. 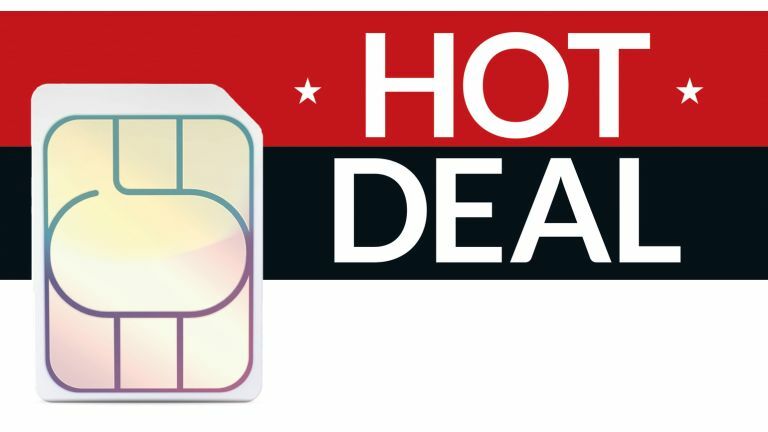 You can also use the SIM plan abroad without paying a penny in 70 countries around the world, including countries that are usually financially ruinous to use 4G data roaming, such as the United States, Australia, Brazil, and Hong Kong, as well as the usual cheap EU suspects, including Spain and France. So, your Instagram followers won't have to wait until you're back in Blighty before they get bombarded with pictures of your lower half reclining in front of a pool with one of those irritatingly nonchalant captions like "View from my desk looks a bit different this Monday morning ... "
If the latest Three SIM deal sounds familiar at all, that's probably because the company did offer this unlimited-everything plan on Black Friday last year for a slightly cheaper £20 a month price. However, unless you're willing to wait until late November, this is a brilliant chance to get the same offer – and save £36 over the 12-month contract compared to its typical £27 monthly cost.